The Graco RoomFor2 is ideal for walking and running errands with two children, with front and rear seats that each hold a child up to 50 pounds. The front seat features a multi-position recline, which can be placed in a fully flat position for naptime. The rear bench seat, perfect for your older child, is padded for comfort. As a fun alternative, he or she can opt to stand on the sturdy platform. 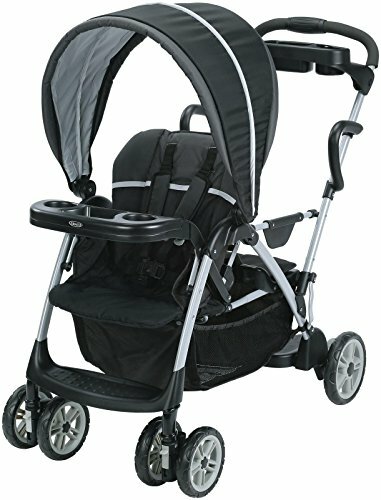 Also suitable for infants, this double tandem stroller is compatible with all Graco Classic Connect and Click Connect infant car seats.